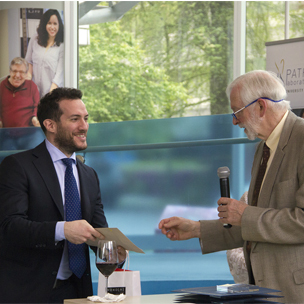 Pathology Day 2017 was a terrific success this year, bringing together students, staff, fellows and faculty at the Paetzold Education Centre at Vancouver General Hospital. More than 170 department members participated in the various sessions throughout the day. 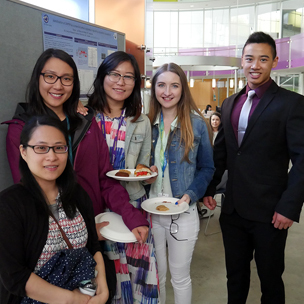 This demonstrates once again that Pathology Day is truly a great occasion to experience the caliber and diversity of research taking place throughout our department, both at the junior and established research levels. Shining the spotlight on our local best and brightest allows us to see the high quality of research that is taking place in our own backyard, raising the bar for all of us. We look forward to including more department members in the future, as a means to present junior faculty and re-introduce our more established researchers and their achievements. 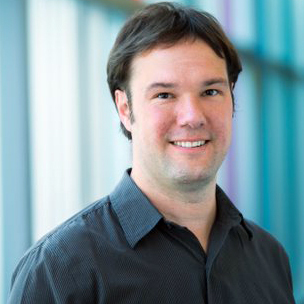 Dr. Bruce McManus is a Professor in the Department of Laboratory Medicine at the University of British Columbia. He serves as CEO, Centre of Excellence for Prevention of Organ Failure (PROOF Centre) and Co-Director, Institute for Heart + Lung Health. 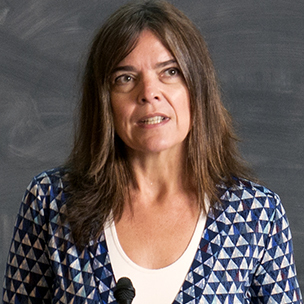 Dr. McManus’ lecture was about “Human Suffering – Crossroad of the 7 C’s”. and Dr. Julie Irving from Victoria shared “Academic and Community Practice in Anatomical Pathology: An Oxymoron”. 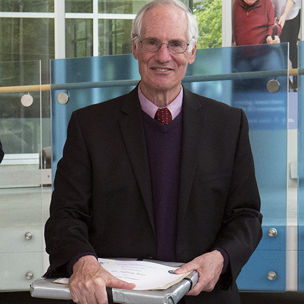 The Keynote’s address “Comprehensive Genomic Profiling and Immunotherapy” was given by Dr. Jeffrey Ross, the Cyrus Strong Merrill Professor and Chair of the Department of Pathology and Laboratory Medicine at Albany Medical College. This year Dr. Valerio Russo, the Postdoctoral Fellow with the top ranked abstract, discussed his work on "Granzyme B: An important Contribution to Dermal-Epidermal Separation in Blistering Skin Conditions". Over 75 abstracts were submitted by trainees and staff, highlighting the broad spectrum of research topics throughout the department; from these a number were selected for presentation during either the Resident or Graduate and Undergraduate Student Oral Platform Sessions. 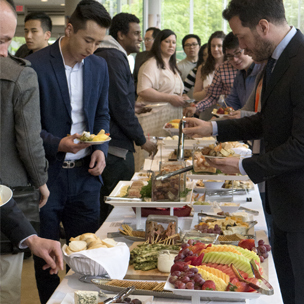 The weather was great and the sun shone at the right time, allowing attendants at the poster session and accompanying luncheon to utilize ICORD, Blusson Spinal Cord Centre, for networking and catching up with people for social and scientific discussion. 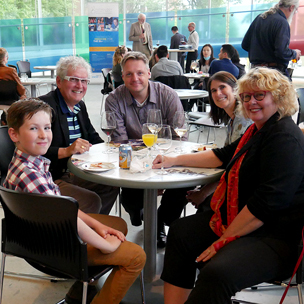 Pathology Day concluded with a well-attended reception back at ICORD. There was lovely music by a jazz trio while department members mingled over delicious appetizers, cocktails and oyster bar. The evening was interspersed with a variety of awards. "Iatrogenic hydrophilic polymer emboli following endovascular procedures: a potentially fatal complication"
"Loss of BRCA1-associated protein 1 (BAP1) expression is rare in non-small cell lung cancer"
"HIV serology signal-to-cutoff ratio as a rapid method to predict confirmation of HIV infection"
Congratulations to recently retired Department of Pathology & Laboratory Medicine faculty members. Thank you for sharing your gifts and talents with us for so many years. "Analysis of innate lymphoid cell subsets subsets in allergic lung inflammation"
"Novel purinergic receptor 7 (P2X7) antagonists upregulate apolipoprotein E in human astrocytes"
"Targeting translation elongation in pediatric neuroblastoma"
"Cancer associated mutations in non-cancer associated endometriosis"
"Wild waterfowl-independent avian influenza virus surveillance and characterization using real-time pcr and enrichment-based targeted resequencing of wetland sediments"
"Increased blood mitochondrial DNA mutations is associated with older age, and peak HIV viral load, but not HIV status"
"Detection of novel markers of transitional cell carcinoma of the ovary, the transitional cell carcinoma-like variant of high grade serous carcinoma, using proteomics and immunohistochemistry"
"TERT promoter mutation in adult granulosa cell tumours of the ovary: Prevalence and prognostic significance"
"Investigating the effects of runx1 and tp53 mutations on lenalidomide resistance in del(5q) myelodysplastic syndrome patients"
"Hypoxia is induced in tumor-draining lymph nodes and affects local lymphocyte populations"
"Defining the biomechanical and biological threshold of murine mild traumatic brain injury using CHIMERA (Closed Head Impact Model of Engineered Rotational Acceleration)"
Department of Pathology & Laboratory Medicine Magazine.